High texture has many high-performance, such as high whiteness, soft texture, easily suspended in water, good plasticity, high cohesiveness and electrical insulation; good resistance to acid soluble, low cation exchange capacity, excellent fire resistance and so on. 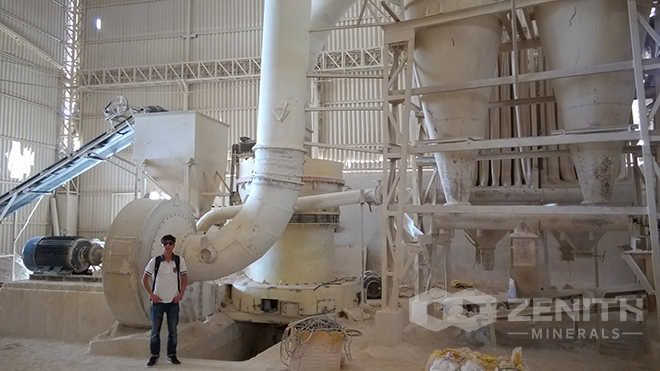 At present, there are more than 700 kaolin resource spots in China, the capacity of 200 spots of them can reaches to 3 billion tons, these source spots are dispersed. 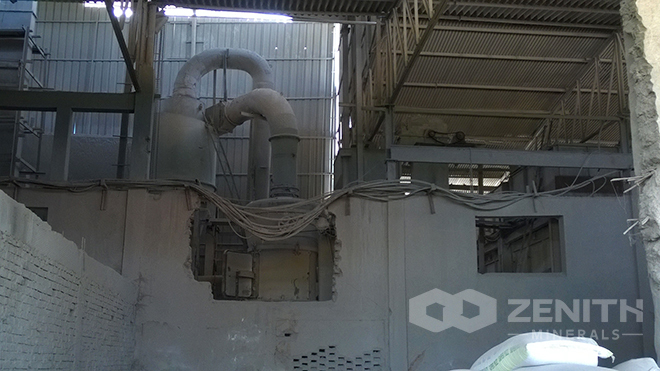 First step:The kaolin has to be dried, with a humidity of within 6%,after being dried, the kaolin clumps will be delivered to hopper by forklifts. 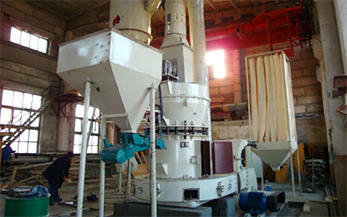 The second stage: The dried kaolin is delivered to storage hopper through a elevator, then marerial enter into the main unit by vibrating feeder from the hopper. 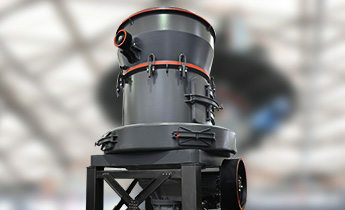 The third stage: After classified by the classifier, the qualified powder comes out of main unit and enter into the collecter through pipes, that is the finished product, however the unqualified parts return to the main unit to be ginded again. 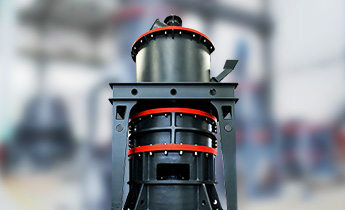 The fourth stage: The purified flow of air flows into the blower through the outlet pipe above filter, the whole wind path is a circulatory system. 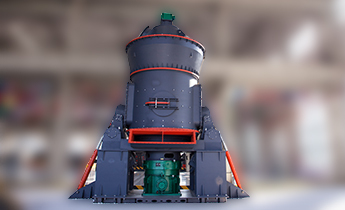 the air flows between grinding chamber and blower is under the positive pressure, the rest work under the negative pressure. Besides, the chamber is pretty clean.